Should I leave surplus money in my limited company and, if so, what should I do with it? We consider surplus money left in the company after you’ve taken out what you need personally and after all company taxes. We also look at what you can and can’t do with this surplus cash. So read on and make sure you’re not missing out on all the financial opportunities available to you. Each year your company generates income from which business expenses, your salary, and corporation tax are deducted, as are dividends that you decide to declare. This leaves a net surplus or a deficit for the year. This amount is then added to the running total brought forward from all earlier years (if there are any), which will have been calculated in the same way, giving your accumulated surplus cash or retained profit at the end of the year. From the outset it’s also worth explaining that any surplus cash you leave in the company is only taxed once, and that’s in the year the profit was first made. So it’s not taxed again just because it’s left in the company. Going forward your company will pay corporation tax on any income or gains made by investing this money, but not on the original sum itself. Remember, the cash balance in the bank is not always the same value as retained profit. Usually there are invoices where the cash hasn’t been received or some expenses or taxes that are still to be paid. It’s easy to forget, for instance, that corporation tax is payable a long time after the end of the year. So there will be tax liabilities outstanding and your bank balance will include profit for the current year that’s not yet even been taxed. In short, beware of “timing differences”. Why are profits left in the company? Individuals are taxed personally on income when it’s taken out of the company, either as dividends or salary. Your income can be taxed at quite high rates, 40% if you are a higher rate taxpayer and 45% if you are an additional rate taxpayer, so there’s no point taking money from the company and incurring these higher tax rates until it’s really necessary to do so. It’s far better to leave company profits you don’t need in the company and pay corporation tax at 20%. However, there are circumstances when the general advice to leave surplus funds within your business does not apply. Lower rates of personal Capital Gains Tax apply. 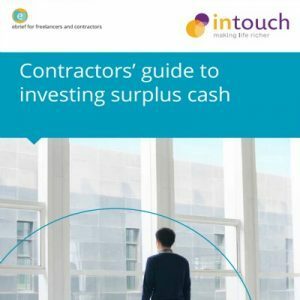 Note: if you are one of those contractors making more money than you need to meet your personal expenses, the general best advice is always to leave your surplus income in the company until some future date when you need it. Be aware that future tax rates can be worse than current ones when it is time to extract the cash. But they could also be better! So, what can I do with the Surplus Cash? You could create an investment portfolio. Buying property through the company. Bonds, loans and short and long-term deposits. Each and every one should be considered carefully and after taking appropriate advice, and you should be aware that some investments are “regulated investments”. It’s worth noting that activities such as buy to let and commercial property activities are generally accepted as trading activities, as would be share and foreign currency dealing. Passively holding listed shares, bonds or other loans or deposits tend to be more in the nature of non trading; but holding shares in another small trading company may, in the circumstances, avoid being deemed an investment company, but it depends…! Different investments have different risk and return profiles. It’s important when considering making any investment to take the appropriate advice and make sure the product suits your needs. This includes consideration of the tax consequences, including whether income is a trading profit or a gain, and what allowances may be additionally available to you. Where an investment is regulated, advice pertaining to it can only be provided by a financial adviser regulated by the Financial Services Authority (FSA). Some advisers are tied to a particular provider, yet Independent Financial Advisers (IFA’s) are not tied to a single provider and can go out to the whole market to select and advise upon a range of investment products. Often contractors appoint advisers that are recommended to them; this is by far the best approach. Remember, advisers get paid either from fees charged to you, or by taking commission from the provider, or sometimes both, so be careful when negotiating and selecting the product. You need to ensure they know enough about you as a contractor to understand your objectives. A pension is a regulated investment. It’s also something you probably would be better off doing in your existing company, as tax relief is available for contributions paid during an accounting year. There are many contractors who don’t like pensions, and we have often seen contractors build up buy to let portfolios as an alternative way of securing assets and income for their retirement. You can establish a retirement company. Some contractors create a separate retirement company, distribute dividends to that company and invest those funds for the future. The retirement company receives surplus income by dividend from the contracting company, and as these are received net of corporation tax there is no further tax payable. The money can then be invested in a range of ways, selected by the contractor in order to generate either income or gains. Corporation tax will be payable on any income generated, or when a taxable gain is realised following the sale of an asset. The retirement company is usually owned by the contractor and, once the contractor retires, dividends can be declared and paid to the contractor as a form of pension. If you want to understand tax on dividends then please refer to our dividend eBrief, but needless to say dividends within the basic rate personal tax band attract no further tax liability. This constitutes an interesting alternative to formal pension contributions. Here you have more control over the assets and the income, and how quickly or otherwise the money is paid out. But it remains one that should only be considered in the right circumstances, having taken appropriate advice from a financial adviser. You can loan the funds with or without interest. It’s not generally a good idea for you or your family to borrow money from your company, because the company will be subject to a special kind of corporation tax calculated at 25% of the loan. This special corporation tax is actually also a form of loan and repayable to the company by HMRC, but only after the loan has been repaid by you (or your family) to the company. In these circumstances, taking a loan from your company for the period required to make the gain, and then repaying the loan to the company once the gain has been made, suffers only the loss of the use of the 25% tax paid for the period held by HMRC. There is can also be a small tax cost associated with interest free loans, but that could be avoided by paying some interest on the loan to your company. In certain circumstances, keeping assets in the bank or on deposit, allowing for immediate access, can be a preferred option, especially where interest rates are low, or you have a low appetite for risk … or perhaps where your exit from contracting is in the near future. When a contractor chooses to retire or to terminate the operation of the business’ trade, specific but very standard tax rules apply. You can simply close a company and take the final funds as a capital gain, provided they don’t exceed £25k. The rate of Capital Gains Tax will be 10%, provided the gains qualify for Entrepreneur’s Relief, whereas income tax could be as high as 32.5% of the gross dividend. You’ll also benefit from your annual Capital Gains Tax allowance, which will reduce the tax even further. Above £25k, you need a formal liquidation. The additional costs generally outweigh the tax benefits until you get to over £50k. Although with the cost of liquidations falling this could change. When a retirement company, or a company set up to make investments, is created it can have different shareholders to your main contracting company. This can mean that with careful planning (and you still need to consider settlements legislation – please refer back to our Dividends eBrief) dividends can be paid to family members who are shareholders. We are serious, be careful … you need proper advice, but it can be done! Also if you are building wealth in a limited company the first priority (and duty of all directors) is to safeguard the assets of the business using protection and risk control policies. Claims made under IR35 by HM Revenue & Customs (HMRC) – a measurable risk with the help of a specialist contractor accountant. This can be achieved in various ways, but a common solution involves creating a separate company (owned by you) that holds a special class of shares in your main company. Generally, the money held by the new company is then free of any commercial risk that existed in your contracting company. Caution and advice is recommended and the overall value of the investments being protected needs to be sufficient to make the extra effort worthwhile. The downside of course is that this new company may be subject to a slightly higher corporation tax rate, but not always, so it’s worth discussing the tax regime that would apply in your circumstances. Firstly, companies don’t pay Capital Gains Tax they pay corporation tax on capital gains. Capital Gains Tax for individuals varies between 10% and 28%, whereas small companies pay corporation tax on capital gains at 20%. Secondly, companies don’t get the same annual Capital Gains Tax free allowance available to individuals. There are also other more specialist tax reliefs that are not available to companies that we don’t need to worry about here. A company whose activities are considered wholly or mainly non-trading because it’s income does not come directly from an “active” trade of being a freelancer or contractor, is treated differently and does not enjoy the small companies rate of corporation tax. In these circumstances, income and gains are taxed at the full company rate, currently 20%. Non-trading income is often found where the income or gains are entirely generated passively. However, as you would expect with anything connected to tax, it’s never that simple and what is trading to one person or company may not be trading to another, so it’s always worth seeking advice based upon the circumstances that apply to you. It’s long been established that dividends are more tax efficient than salary when taking money from your company, because they avoid national insurance. Where a dividend is received and you are a higher rate or additional rate taxpayer, you are assessed to and required to pay further income tax personally out of the cash received, or other personal cash resources. This tax liability reduces the amount you receive and what is available for you to invest. If it really represents “spare” income, then don’t pay more tax on it than you need to. If you want to make a specific investment, then speak with your IFA first. And, if you don’t have an independent adviser, then make sure you get one. If it has to be a personal investment, perhaps borrow from the company, and if you intend to cease contracting soon-ish (not always upon retirement) check out your options now. Before making any decisions, speak to your contractor accountant who will advise you of your options. Intouch Accounting are Limited Company Accountants who advise thousands of contractors and help many of them overcome issues with the taxman everyday. 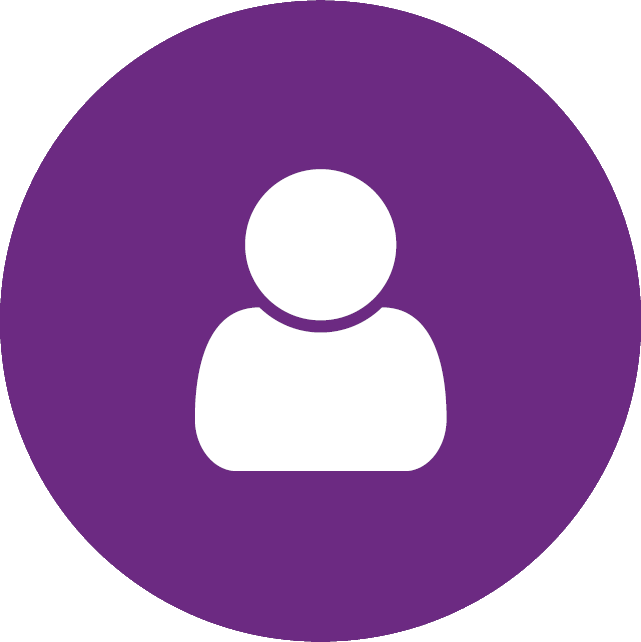 We have an experienced friendly team who can set up a company for you, manage your accounts and provide ongoing advice in relation to investing surplus cash. As an Intouch Client you also get 24/7 access to our innovative Client Portal, which saves you time when managing expenses and invoices and lets you know where you stand at all times. Why not explore what becoming a Limited company contractor means for you? Give us a call on 01202 901 385 or visit www.intouchaccounting.com and we can go through your circumstances and advise on what is best for you.